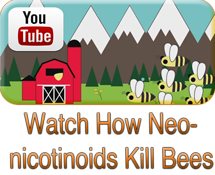 Many people do not know what the exact problem is, to what extent neonicotinoids are toxic to bees and if they are essential to agriculture or not. PAN Europe aims at informing people with independent information in order to counterbalance the many, so-called, scientific publication and statements from the pesticides industry. Through our website, we propose to give information to the general public and to provide scientists as well as NGOs and citizens with a database of independent scientific articles on neonicotinoids, fipronil and general toxicity of pesticides for bees. We actively bring our expertise to the Members of the European Parliament as well as the European Commission civil servants and politicians concerning independent scientific evidences of the neonicotinoids toxic characteristics for honeybees. We also put in light the biased information provided by the industry and criticize the highly influential position which different companies have in the risk assessment process. Showing the pressure put on decision makers by conventional farmers as well as the pesticides industry which spread misleading information. Pesticide regulation 1107/2009 has been set to induce a high level of protection for human and animal health as well as the environment. 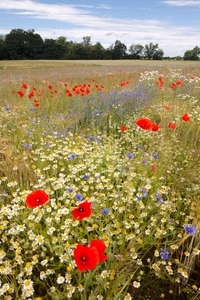 Unfortunately, toxicity risk assessment of pesticides to bees has, up to now, been very limited. Risk managers have approved pesticides which application dossiers contained data gaps and, in some cases, already had some clear evidences of toxicity for bees. This is not acceptable, therefore PAN Europe is acting in order to enforce a correct implementation of the law. That is why PAN Europe, as a European network, helps its members to make legal actions in their countries. We provide them with technical support in order to request a ban in their countries. In addition, PAN Europe has also started on its own a case at EU level on Maximum Residue Levels (MRLs). MRLs in food and feed are set to ensure a “high level of protection for human and animal health”, according to pesticides MRL regulation 396/2005. MRLs for imidacloprid, clothianidin, thiamethoxam and fipronil are set at 10 or 50 μg/kg in honey and pollen. Many independent scientific publications have proven that at such levels, honeybees can be intoxicated. Thus we ask the European Commission to lower the MRLs of these chemical products for honey and pollen to an acceptable level for honeybees. Furthermore, European Commission has decided a ban on 3 highly bee-toxic neonicotinoids (imidacloprid, clothianidin and thiamethoxam) and fipronil for many crops. This is a great step forward. Unfortunately, European Commission does not follow entirely EFSA’s opinion on the risk of imidacloprid, clothianidin and thiamethoxam by maintaining an approval for, among others, the use as seed coating for winter cereals. Commission did not take into account the risk for soil-nesting insects either. PAN Europe, together with French rural organisation Confédération Paysanne, has launched a case in order to ensure that the “high level of protection to the environment” stated in pesticide regulation 1107/2009 is respected.